This year’s National Championship came very close to being cancelled by an act of God. 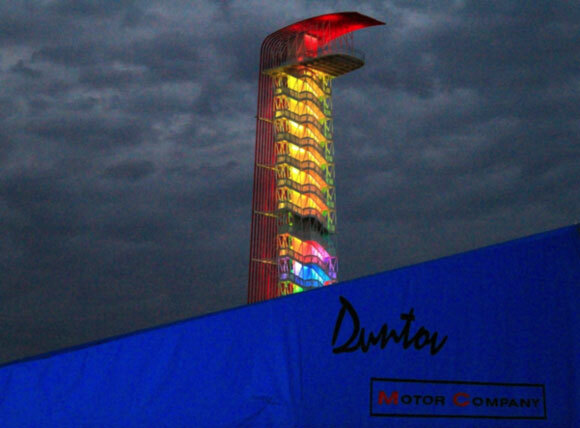 Three days before the rigs were scheduled to set up in the COTA paddock, the circuit experienced a tornado with torrential rains and flooding. Many of the temporary buildings set up for the Formula One race were lifted off the tarmac and smashed onto the racetrack. The track entrance tunnels were almost completely filled with water. Several grandstands collapsed and retaining walls were crumbled. Members of the track maintenance crew were swept off the road leading from the track and drowned. On Sunday, November 1st, the track ownership informed Tony Parella that there was no way they could get the track in shape for the race and it had to be cancelled. Tony wouldn’t allow it, and volunteered to head up the track clean-up operation. Thousands of man hours later, the trucks rolled in and the event took place as scheduled. The weather continued to be a factor for the rest of the weekend, but through it all 500 racers from around the country were treated to a first class event. 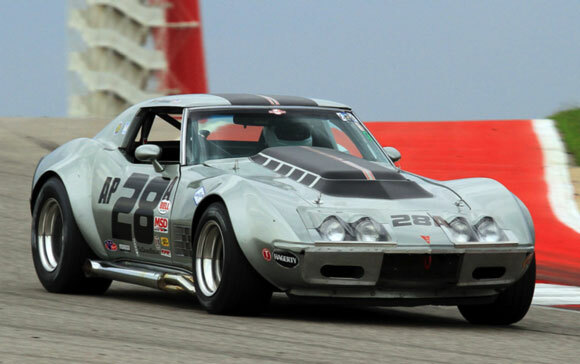 The Duntov team brought Clair Schwendeman’s 68 Corvette and Jim Kitzmiller’s 69. 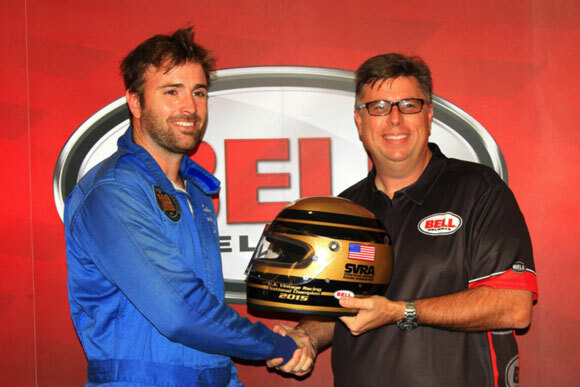 Jim designated Edward Sevadjian to race his car in this year’s National Championship event. 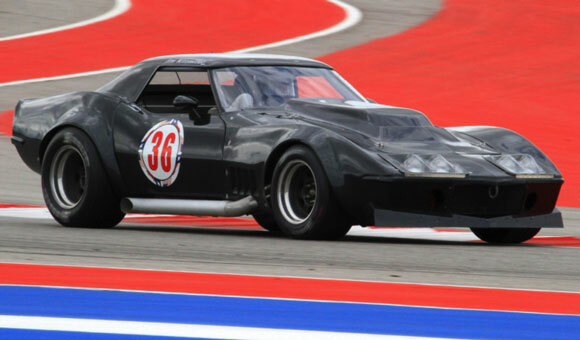 Jim planned to only run a couple of test sessions and the enduro on Sunday. Other than that, Edward would take the car out for every session. This would be the first event in which Edward would run every session since July, 2013. Garrett Waddell’s last race, and it was a good one. 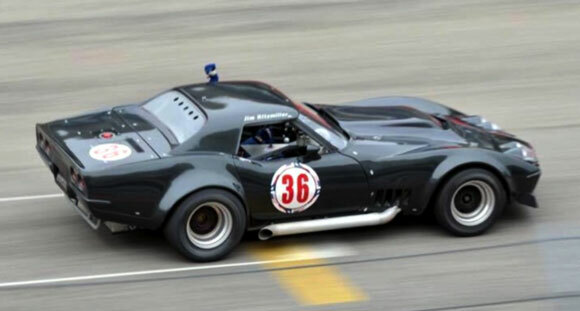 Duntov also serviced Garrett Waddell’s fuel injected 1963 Z06. It would be Garrett’s last race and the team was dedicated to making the experience a good one for Garrett. Also on hand was Mark Hilderbrand who did most of his own work but was as always an unofficial Duntov team car. There was a steady rain before the qualifying race and there was some question whether the race was to be for grid positions in the feature race or not. The rule is if more than 50% of the field shows up for the qualifying race, then the race results count for grid positions. If less than 50% show up, the times are taken into consideration along with the times from Qualifying 1, but since it was wet, the times would be worthless. We set up the cars for rain and waited. 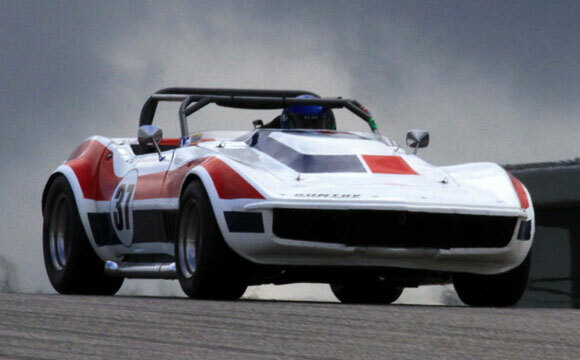 The Duntov rig was right behind the false grid, so we counted the cars as they showed up and when it became clear that more than 50% were going to participate, we rolled. Needless to say, the Porsches went straight to the front, but so did Curt Vogt in the Cobra Automotive Mustang. Curt had Hoosier rain tires and our cars were running hand grooved dry tires. 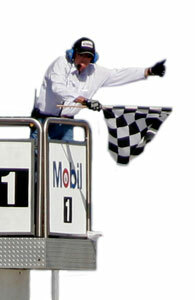 Edward finished 6th behind four Porsches and Curt. Clair finished 10th. Edward did have the second fastest time in the wet, but that didn’t count for anything. Edward picked the wrong setup but still won. This Porsche was this close the whole race. In the feature race the conditions looked better than they were in the qualifying race, but how much better was the question. 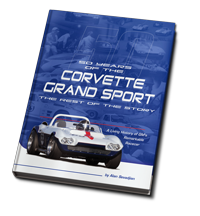 The Duntov team waited until the very last minute to decide which tires to run – dry or hand grooved. Finally the choice was to go with the hand grooved tires and no rear sway bar. That decision almost cost Edward the race, as the car understeered badly, but it was good enough to win the National Championship. 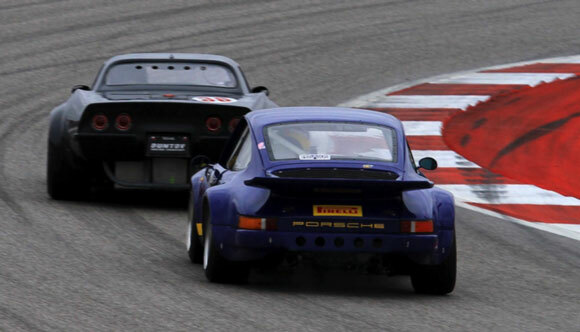 Following Edward were three Porsches and Clair in 5th. The enduro was the last race of our event. 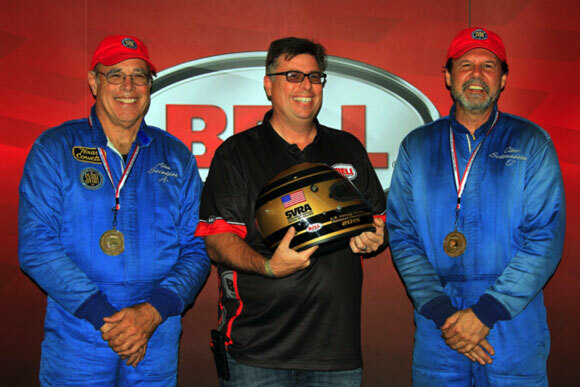 Edward and Jim had won the enduro last year in a race that was featured in Robb Report Magazine. They planned the same strategy this year with Jim starting and Edward finishing up. Alan started in Clair’s car. 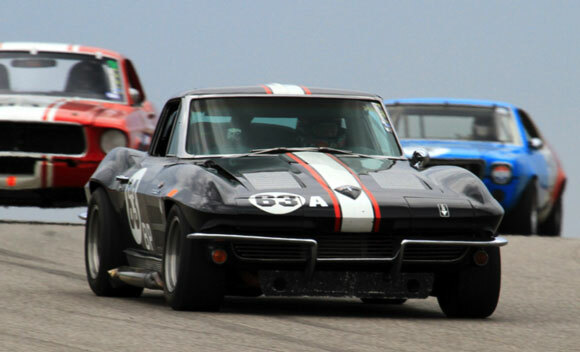 Since Jim was starting in Edward’s qualifying position, he was right in the middle of some very fast sports racers. Unfortunately he got caught up in their braking zone and spun in turn one. By the time he got himself sorted out, he had gone a lap down. That was all Alan and Clair needed to cruise to a National Championship. Edward managed to un-lap himself, but he couldn’t chase Clair down a second time in spite of a pace that almost matched his pole qualifying time. 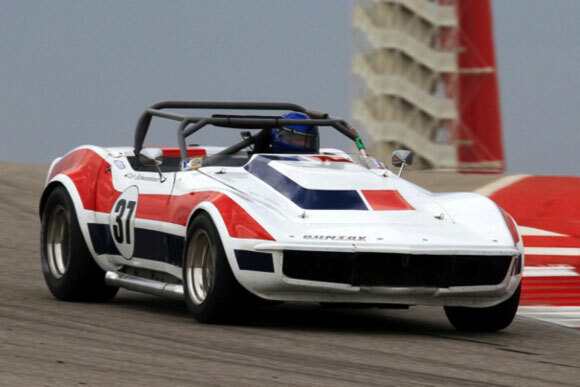 Alan and Clair got National Championship helmets, making it five for Duntov in two years.